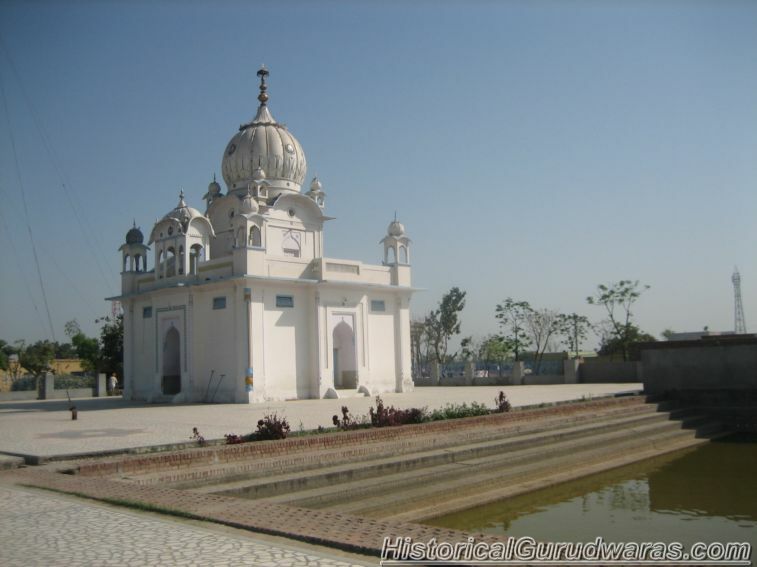 Shri Guru Nanak Dev ji was born in 1469 in Talwandi, a village in the Sheikhupura district, 65 kms. west of Lahore. His father was a village official in the local revenue administration. 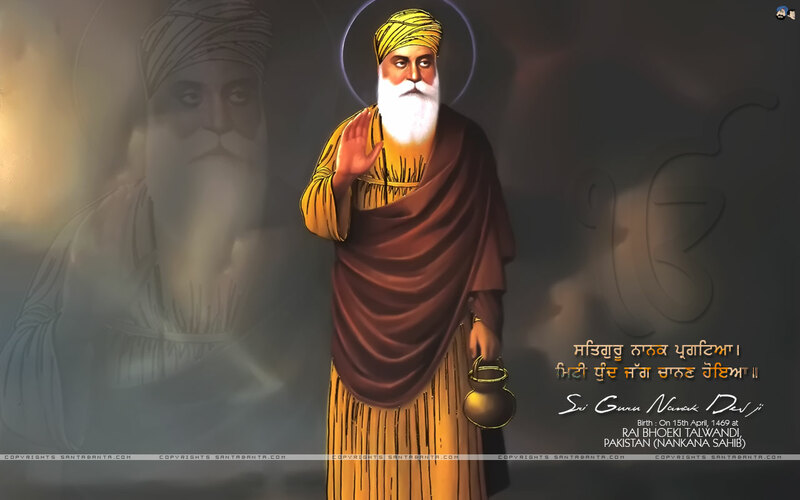 As a boy, Shri Guru Nanak learnt, besides the regional languages, Persian and Arabic. He was married in 1487 and was blessed with two sons, one in 1491 and the second in 1496. In 1485 he took up, at the instance of his brother-in-law, the appointment of an official in charge of the stores of Daulat Khan Lodhi, the Muslim ruler of the area at Sultanpur. It is there that he came into contact with Mardana, a Muslim minstrel (Mirasi) who was senior in age. Despite the hazards of travel in those times, he performed five long tours all over the country and even outside it. He visited most of the known religious places and centres of worship. At one time he preferred to dine at the place of a low caste artisan, Bhai Lallo, instead of accepting the invitation of a high caste rich landlord, Malik Bhago, because the latter lived by exploitation of the poor and the former earned his bread by the sweat of his brow. This incident has been depicted by a symbolic representation of the reason for his preference. 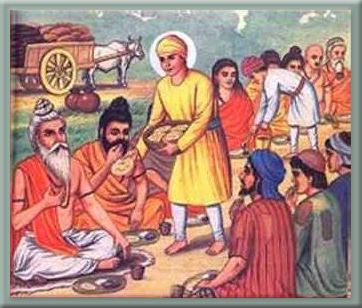 Shri Guru Nanak pressed in one hand the coarse loaf of bread from Lallo’s hut and in the other the food from Bhago’s house. Milk gushed forth from the loaf of Lallo’s and blood from the delicacies of Bhago. 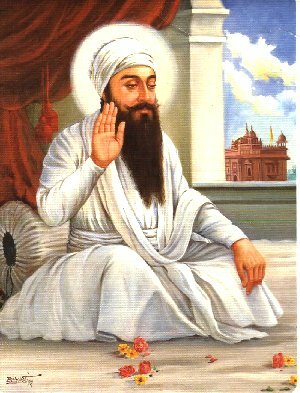 This prescription for honest work and living and the condemnation of exploitation, coupled with the Guru’s dictum that “riches cannot be gathered without sin and evil means,” have, from the very beginning, continued to be the basic moral tenet with the Sikh mystics and the Sikh society. Finally, on the completion of his tours, he settled as a peasant farmer at Kartarpur, a village in the Punjab. 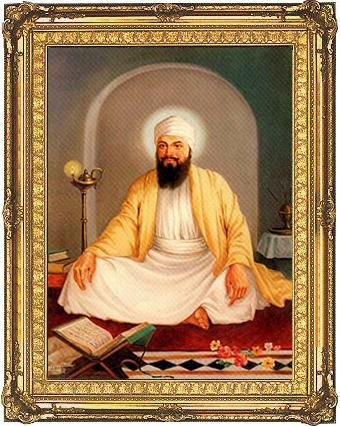 Bhai Gurdas, the scribe of Guru Granth Sahib, was a devout and close associate of the third and the three subsequent Gurus. 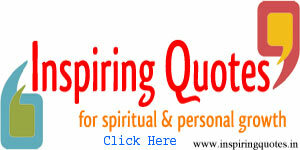 He was born 12 years after Guru Nanak’s death and joined the Sikh mission in his very boyhood. 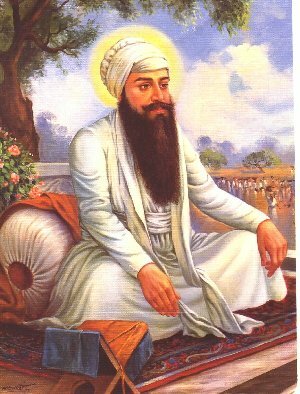 He became the chief missionary agent of the Gurus. 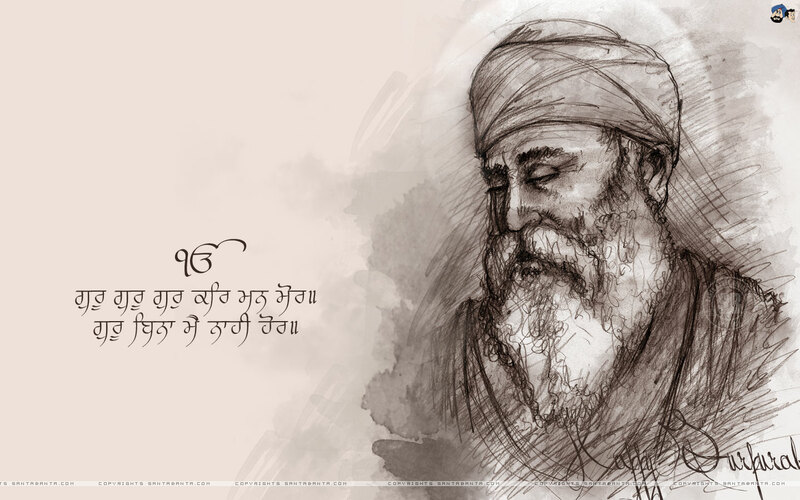 Because of his intimate knowledge of the Sikh society and his being a near contemporary of Shri Guru Nanak, his writings are historically authentic and reliable. He writes that at Kartarpur Guru Nanak donned the robes of a peasant and continued his ministry. 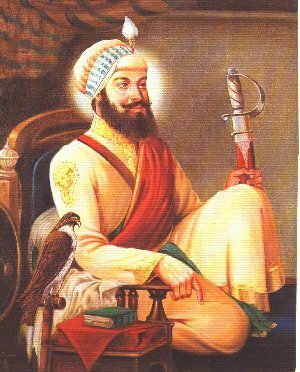 He organised Sikh societies at places he visited with their meeting places called Dharamsalas. A similar society was created at Kartarpur. In the morning, Japji was sung in the congregation. In the evening Sodar and Arti were recited. 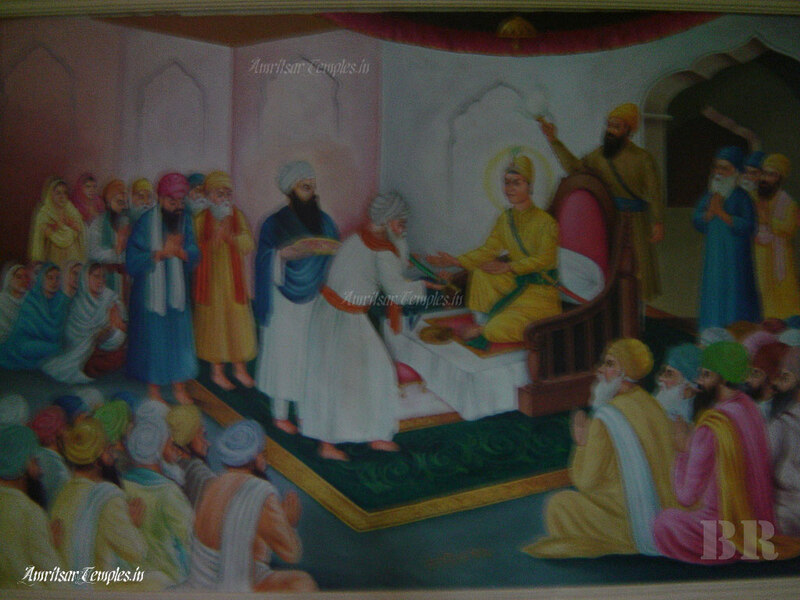 The Guru cultivated his lands and also continued with his mission and preachings. 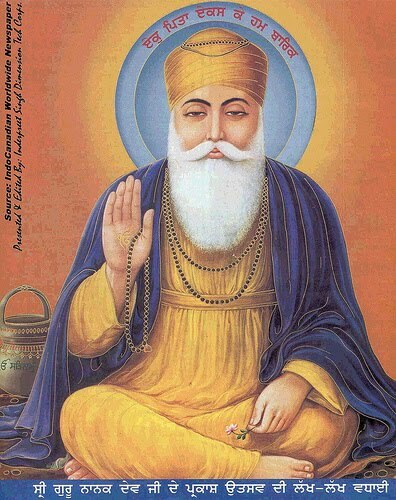 His followers throughout the country were known as Nanak-panthies or Sikhs. The places where Sikh congregation and religious gatherings of his followers were held were called Dharamsalas. These were also the places for feeding the poor. Eventually, every Sikh home became a Dharamsala.